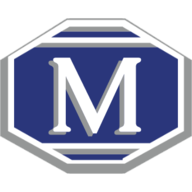 At MARBLELIFE, we take great pride in our products and services, but we would be nothing without our amazing customers. So we’d like to take the time to give a heartfelt thanks to all our residential customers, old and new, for welcoming us into your homes. Whether you called us for a professional cleaning or for a restoration and repair project, we truly appreciate your business and will do our best to continue providing the quality service you’ve come to expect from the MARBLELIFE name. As a thank you, here are three pro tips straight from the experts at MARBLELIFE themselves, for how to keep your household stone looking stunning. A poultice is a combination of an absorbent medium and a cleaning agent. The ABSORBENT can be a couple of sheets of white papertowels (no printed color) or diatomaceous earth. We are going to soak it in solvating material and then allow it to dry top down. The CLEANING AGENT ingredients you use for your poultice will depend on the type of stain. There are five types of stains: 1. organic (coffee, tea, food), 2. inorganic (inks, dyes), 3. oils (vegetable oil, butters and animal fats), 4. biological (mold and mildew), and 5. metallic (rust, copper). For organic and inorganic stains: 30/40 volume hydrogen peroxide or denatured (rubbing) alcohol. For metallics: Iron-Out white powder or RSR-2000 available at many hardware stores (but be careful when trying this on an acid sensitive surface such as grout or marble as this will acid etch these surfaces while removing the stain and WILL require further restoration). While it is always less expensive to get the stain out yourself, the restoration following a metal stain removal is unavoidable, and as such it makes sense to reach out to your local MARBLELIFE Craftsman ahead of time for this insight – which is free. Have you cleaned and re-cleaned your kitchen or other rooms due to an unidentifiable yet persistent odor? Does the room have tile surfaces? It could be your grout lines causing the odor. Because of the porosity of grout, particulate matter can become absorbed and trapped in the material. Leading to discoloration and even odor. 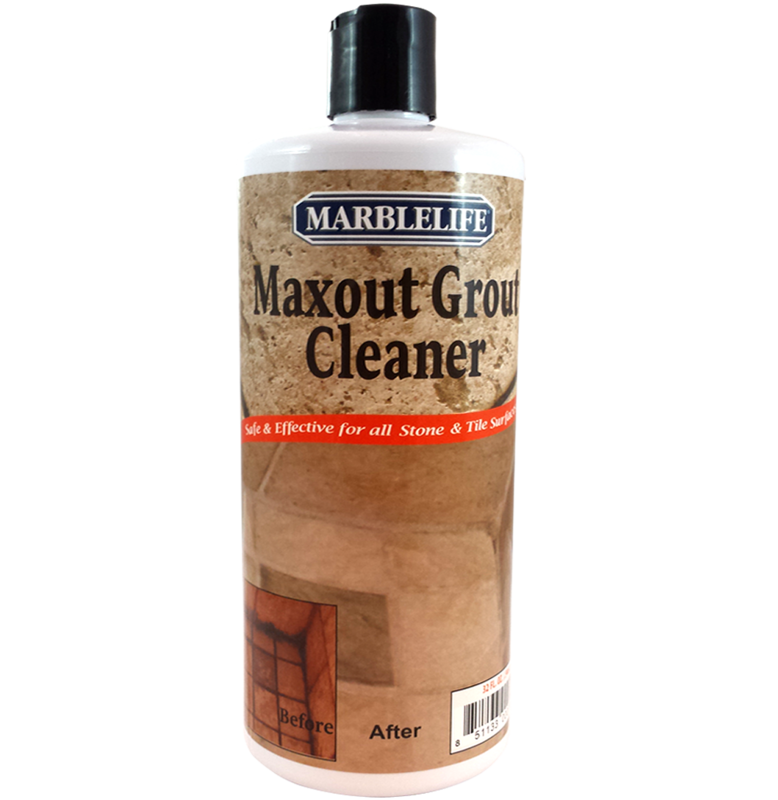 Deep clean grout with a stone-safe cleaner like MARBLELIFE® MaxOut Tile & Grout Cleaner. Once you have the look you want, don’t forget to seal! We need to keep material out in order to avoid a re-occurrence. If you’re concerned about potential accidents due to slipping, but don’t want to hide your beautiful floors beneath rugs, consider a floor treatment that can help raise the coefficient of friction. MARBLELIFE offers several treatments that can help increase slip resistance. 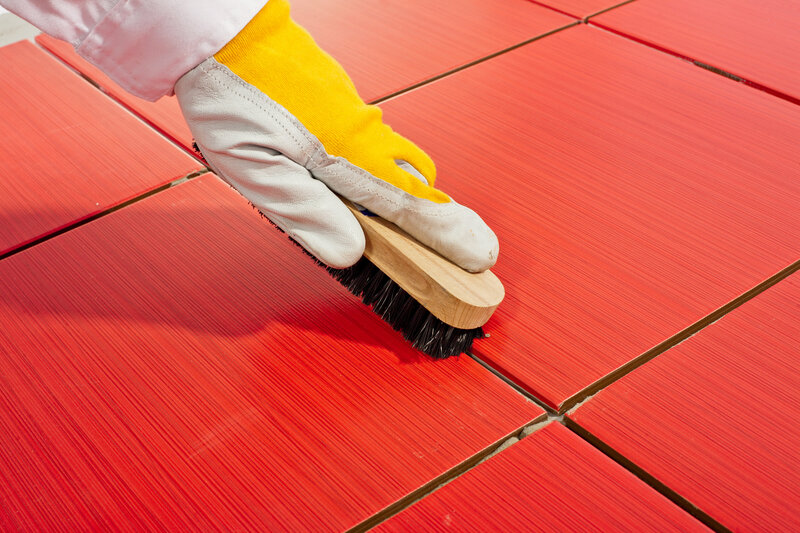 Be aware however that no surface treatment can completely halt slips and falls. If you can hydroplane a car across a rough road with enough speed and a little water, it is possible to slip on virtually any surface if water or dust is present. As such, one of the most overlooked slip management treatment is simply to manage water and dust. Never use waxes, or gloss-enhancing-oils on floors as they leave residues on your stone that separate your feet from the stone. Make sure you are cleaning your floors with a cleaner with good degreasing action. Oils and greases can be introduced through cooking, food spills, repairs, and even contact with bare skin. These serve to reduce coefficient of friction providing a lose material that can slip between stone and feet. MARBLELIFE’s line of MARBLE & TRAVERTINE, GRANITE & QUARTZ and TILE AND GROUT cleaners each offer exceptional degreasing performance without introducing either waxes or damaging acids. For more information and stone care tips and techniques, contact your local MARBLELIFE office. A knowledgeable Stone Craftsmen will be happy to help you in any way they can.